Killer Characters: Who is Robbie Jordan? 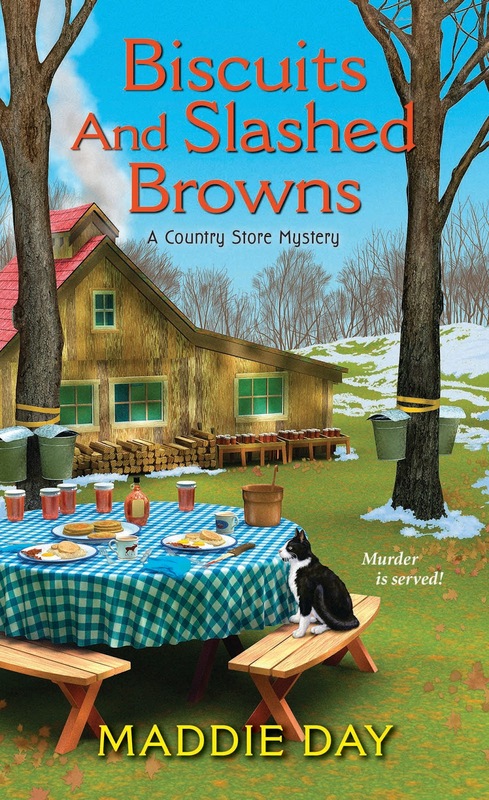 Robbie Jordan here, from Maddie Day's Country Store Mysteries. 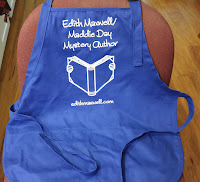 My author's alter-ego, Edith Maxwell, wanted to interview me today. I said, "Okay, but can we make it snappy? Because I have breakfast prep to do." She's all excited because Biscuits and Slashed Browns just came out on Tuesday and has been doing super well. Oh, and she's running a special contest. Details at the end of the post! Edith: How did you get to southern Indiana from California? And don't you miss the ocean? Robbie: I had a pretty rotten ex-husband who I married right out of college. I really needed a change of scenery after he left me, and when my mom suggested I go visit aunt Adele and see if I could find a job cooking, I jumped all over it. Sure I miss the Pacific, but Brown County is a sweet spot to live in. And it's not like the ocean went anywhere. I can always go back for a swim and lungfuls of salt air. Edith: How did you get to be a puzzle master? Robbie: Man, I've been doing puzzles since before I can remember. Words, their meanings, their shapes, it's always seemed like magic to me. I was a really early reader, and I've never seen a crossword grid I didn't want to solve. Edith: What's one thing I, I mean Maddie Day, does that bugs you? Robbie: Sometimes she asks me to go into a dark basement alone - when a killer is at large! I'm like, no way, girlfriend. Edith: What about biking? You are such a cycling enthusiast. How did that start? Robbie: Hello, I'm from Santa Barbara? It's biking weather all year round, and even in the hottest days of summer and early fall you get a sea breeze. Everybody rides their bikes. Plus, environmentally it's a no-brainer - save the atmosphere and get your exercise at the same time. Edith: Congratulations on the new book coming out this week. What's your next adventure we'll hear about? Robbie: I'm so excited my father and his wife are coming to visit from Italy. Their visit coincides with the big bluegrass festival in Beanblossom, so I'm going to take them, and show them around the area, too. I hope it all goes well. 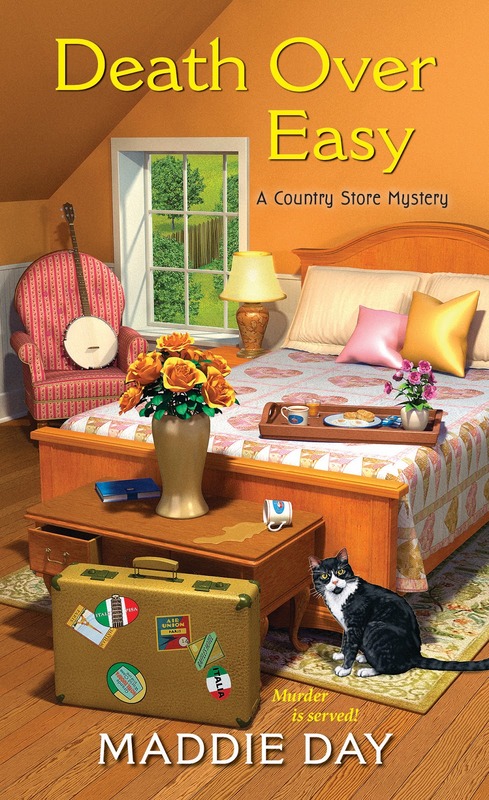 Maddie named the book Death Over Easy, which is kind of bad karma, don't you think? Edith: The bluegrass festival sounds fun. I should try to go some year. Robbie: It's awesome. They have several stages, impromptu jam sessions, clogging, the works. A week's worth of bluegrass. Plus a beer tent! Readers: What do you have in common with Robbie? Biking? Puzzles? A love of a tasty breakfast? Do you live on a coast or in the middle of the country? edith@edithmaxwell.com and I'll enter you in a drawing for a special author apron! You can also send a picture of your cat or dog with the book, or the book next to one of the recipes you've prepared. Please put Apron Contest in the subject line. Contest closes February 9 at midnight. Brown County Indiana is beautiful. I lived in Lafayettem IN for a while - college and a teaching job. I also like doing puzzles. Looking forward to reading this book. Love the fact you're writing about Brown County. I'm a Corydon, IN (Southern Indiana) native and a huge IU Hoosiers fan. Can't wait to read! Being a new cozy mystery author, I've discovered so many great cozy books and writers! Congrats on the series!